It’s officially go-time for the No. 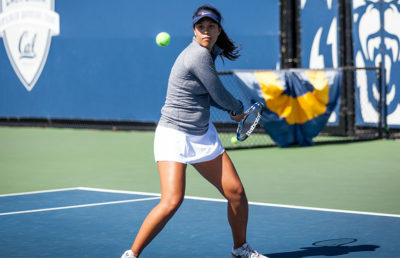 11 Cal women’s tennis team. After a productive fall season and a pair of warm-up tournaments earlier this winter, the Bears have finally reached their first dual-matches of the year, beginning with the ITA Kick-Off Weekend event Friday and Saturday. Last season, UNLV finished 18-8 overall but went 0-6 against nationally ranked opponents. While the loss of senior Paola Artiga is expected to be a major setback for the Rebels, the current group is led by current junior Anna Bogoslavets, who figures to be the biggest threat to Cal’s ranked players. Bogoslavets posted an impressive 16-4 dual-match record last year. UNLV’s top six will have their hands full with the rising Bears, who continue to carry their fall consistency into the spring season. Boasting three ranked players in singles — No. 27 freshman Anna Bright, No. 40 junior Olivia Hauger and No. 45 senior Karla Popovic — Cal’s lineup should have little trouble advancing to Saturday’s championship match. 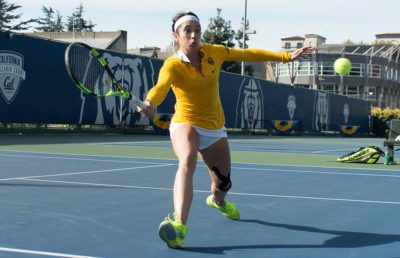 While Popovic’s availability remains unclear after missing the Bears’ first two invitationals of the winter, the rise of freshman Julia Rosenqvist and junior Maria Smith into the fold provides assurance that Cal is primed for a strong start to the spring season. Rosenqvist and Bright took home the doubles title two weeks ago at the Cal Winter Invitational, while Bright claimed the championship in the top singles flight as well. This weekend’s opposition should expect the best that Cal can offer. The Bears are not only well-rested, but also amped up for a month of intense competition. The Bulldogs and Longhorns will square off a few hours after the first matchup, with the winners of the two head-to-head matches advancing to a championship qualifier Saturday. The winner of the championship will advance to the National Indoor Championship event featuring 14 other teams in Madison, Wisconsin, from Feb. 9-12. Should Texas advance, the Bears will have to find a way on Saturday to overcome the Longhorns’ depth, which features three ranked sophomore singles players of its own — No. 10 Bianca Turati, No. 32 Petra Granic and T-No. 87 Anna Turati. Win or lose, this weekend represents the chance for most players to take their best shot at unfamiliar opponents, with four different states converging in Berkeley. Although winter training and improved skill will play a role in determining who advances to the national championship, those who make mid-match adjustments will undoubtedly have an edge over those who struggle.